RC Tennis offers USTA Junior Team Tennis on Sunday afternoons each Spring and Fall. Young players age 6-18 to get match experience in a fun team setting with age appropriate rackets, balls and courts. Players should have played tennis before but match experience is NOT necessary. Rackets are available for players to use or they may bring their own. This is the perfect "next step" for players from our after school Kids Tennis Clubs, NJTL Network Summer program, Play Days, and Eaglemania summer camp; as well as for more experienced middle and high school team players to play year round. USTA youth membership and a team fee are required. Players register online or court-side at a our Kick-Off event. Scholarships for the team fee are available based on need. 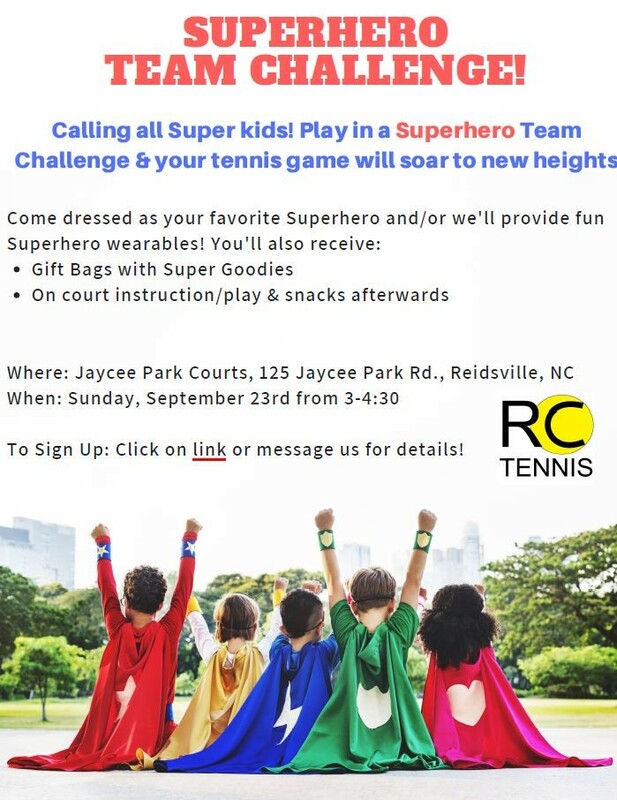 begins Sunday September 23 with a Free SuperHeroes Team Challenge Kick-Off from 3-4:30p at Jaycee Park in Reidsville. Everyone deserves to wear a SuperHero cape at least once don't they? Players age 6-18 will enjoy building skills and playing fun low-key tennis matches on 4 Sunday afternoons this fall leading up to our RCTA Fall Level 5 Junior Tournament. Let us know you're coming on our SignUp here. 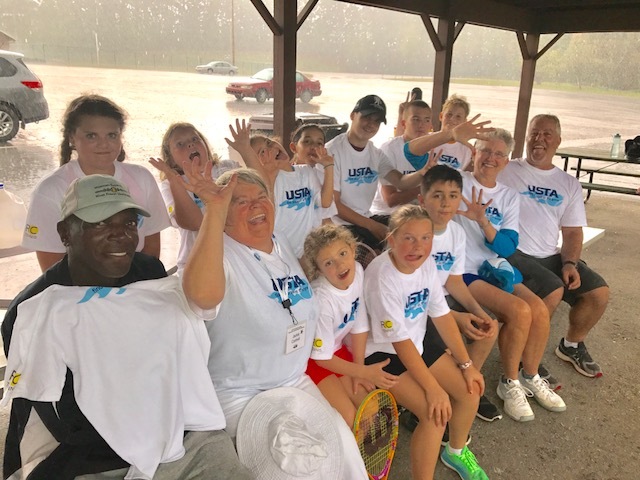 USTA NC YouTube video: Think you know Junior Team Tennis?